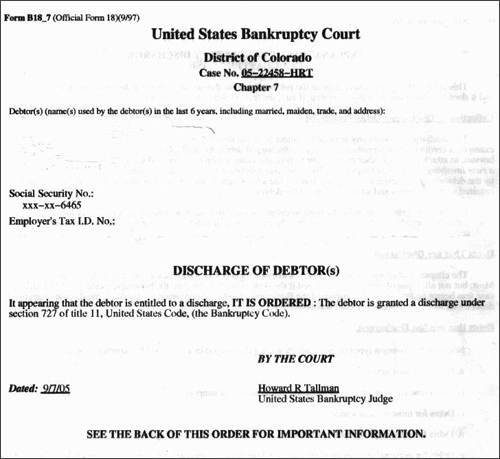 Bankruptcy in the United States is a matter placed under Federal Jurisdiction by the Constitution of the United States which allows Congress to enact uniform laws on the subject of bankruptcies throughout the United States. Federal law is amplified by state law in some places where Federal law fails to speak or expressly defers to state law. The most common types of personal bankruptcy for individuals are Chapter 7 and Chapter 13. As much as 65% of all U.S. consumer bankruptcy filings are Chapter 7 cases. Corporations and other business forms file under Chapter 7 or 11. Harper Law Firm has years of experience in dealing with all types of bankruptcy cases. If you or someone you know is in need of assistance while recovering from bankruptcy contact us for a free evaluation of your case.